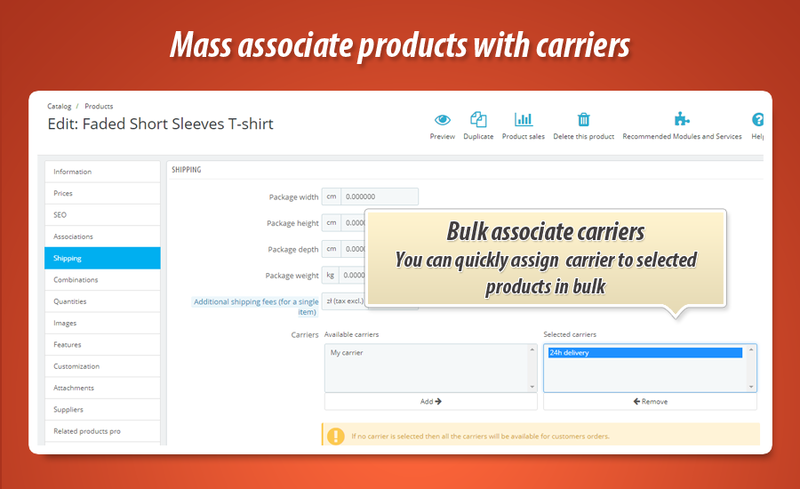 With this addon you can save a lot of time, you will not have to assign carrier to product one by one. Module allows to do this in bulk. 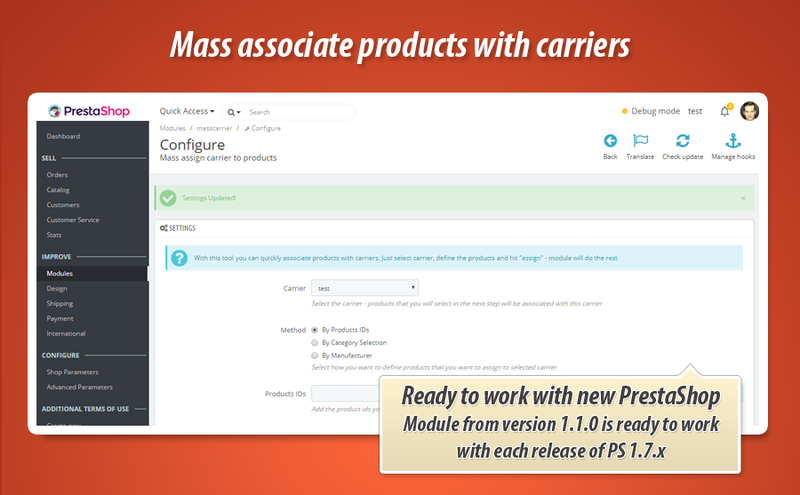 Just select carrier, define the products (by categories, by manufacturers or exact products) and module will do the rest automatically. As you already know - this module allows to save a lot of time. 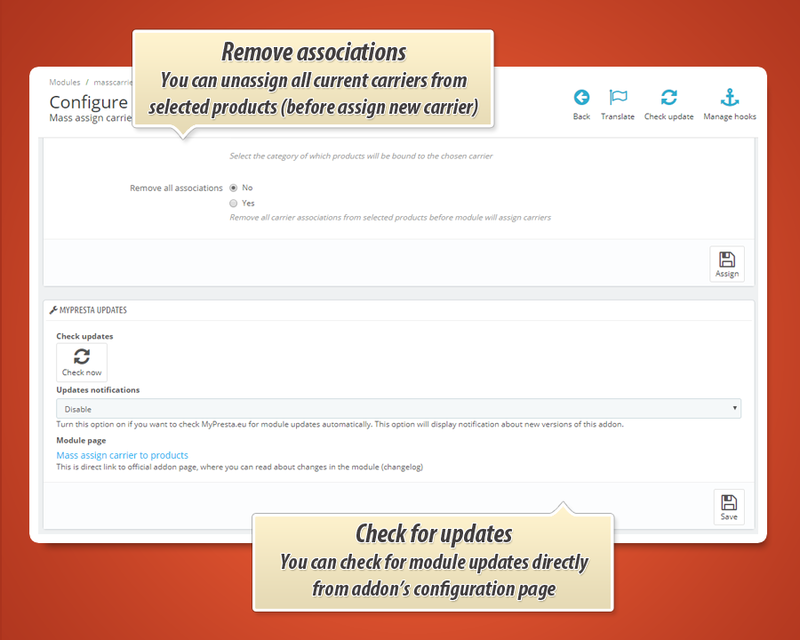 You will not have to assign carriers to products one by one. Module allows to do this in bulk, with single mouse click. 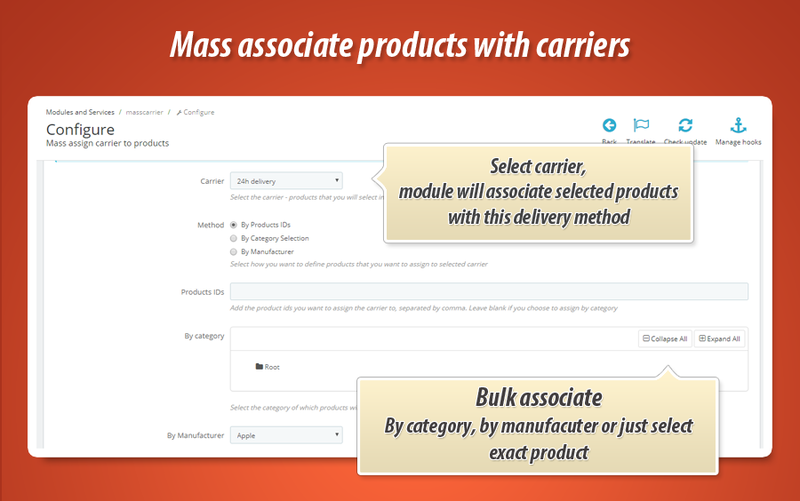 You can assign carrier with products based on associations with categories, manufacturer or exactly selected products. 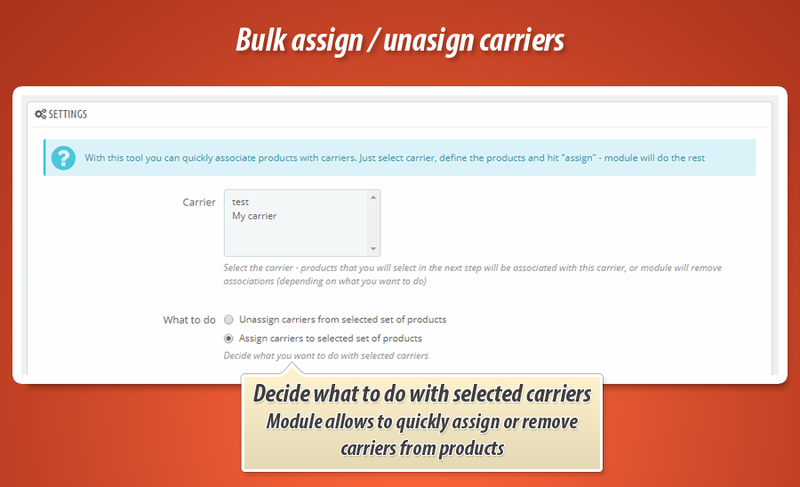 Most important feature in the module - as you already know - is possibility to quickly assign carrier with many products in bulk. Module has several features that makes life easier: whole process is based on 3 step wizard. First step is a selection of shipping metod. Just select the carrier and go to the next step. Second step - here you define how you want to select products. You can select exact products (by id), select products by categories or select products by manfacturer. Just select option and go to the next step. The last third step is a product selection. This step is based on second one. If you selected option to specify the products' ID - you will have to fill out input form with products ID numbers. Module will associate these products with selected carrier. If you want to select products by category - just explore the categories tree and select categories. 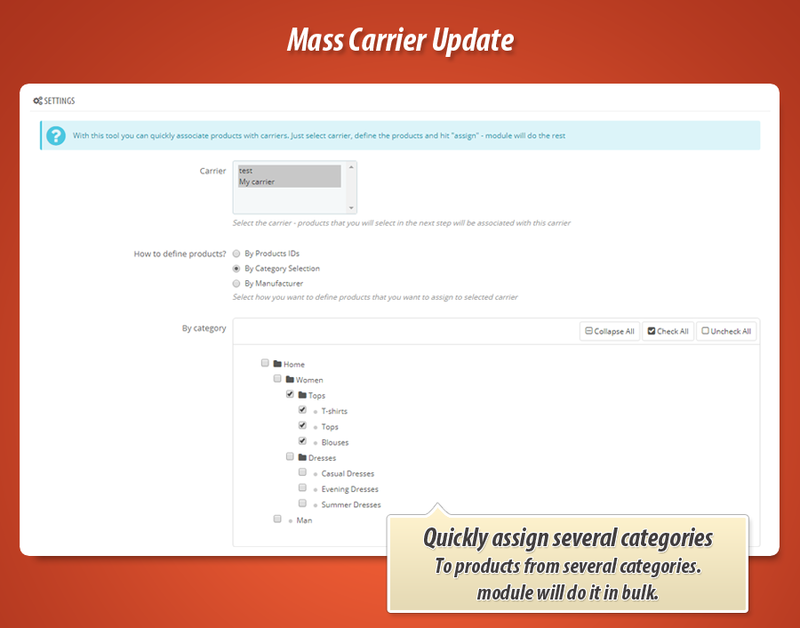 Module will select all products associated with these categories and associate the, with selected carrier.